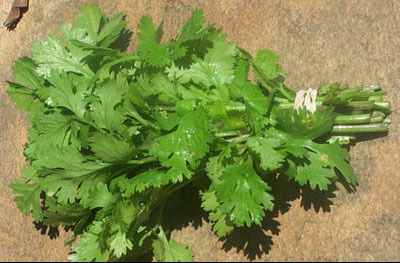 Italian parsley, also known as Petroselinum crispum, is a plain flat leafed parsley. It has darker green leaves than curly leafed parsley. The flavor is a bit stronger and better than curly parsley, as well a less bitter flavor. It is best to add during the last few moments of cooking for the best flavor. You can also sprinkle it right on salads, soups, fish, meat, etc. Italian Parsley is a great garnish and very nutritious. It is rich in vitamins. Besides cooking with parsley, some like to juice it, along with other ingredients. Great nutritional boost. If you want to have lots of fresh parsley leaves, you will want to replant your seeds each year to get the maximum benefit. The second year, the flower heads are great for attracting beneficial insects. The leaves in the second year however, are said to not be as good. Using fresh parsley is always best, but if you have only dried, you won't need as much. If a recipe is calling for parsley, use 3 times as much fresh parsley as dried. Italian parsley is different from regular curled type parsley. You can use it in dressings, an ingredient in pesto, poultry, soups, etc. Its an attractive garnish as well.